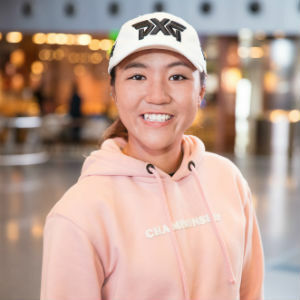 DOHA, Qatar, 2017-Sep-27 — /Travel PR News/ — Qatar Airways, a supporter of premier sporting events around the globe, has signed on to become the Official Airline for three editions of the MCKAYSON New Zealand Women’s Open. The event features a USD $1.3 million prize purse and will mark the first ever LPGA Tour event to take place in New Zealand. As part of this sponsorship, Qatar Airways will have extensive marketing and branding rights at the MCKAYSON New Zealand Women’s Open, with millions of overseas spectators expected to tune in from 28 September to 1 October 2017, when the Open takes place at the spectacular Windross Farm golf course in Ardmore, south of the Auckland central business district. Today’s announcement builds on Qatar Airways’ sponsorship strategy of supporting a range of exciting international and local initiatives dedicated to enriching the global community that it serves. Besides the MCKAYSON New Zealand Women’s Open, Qatar Airways is a proud partner of the Sydney Swans in Australia and the Formula E electric car races in Paris and New York, among others. Qatar Airways is also the official FIFA partner of many top-level sporting events, including the FIFA 2018 and 2022 World Cups to be held in Russia and Qatar respectively. Qatar Airways is one of the fastest-growing airlines operating one of the youngest fleets in the world, with 200 aircraft flying to more than 150 key business and leisure destinations across six continents. The airline has launched many exciting new destinations in 2017, including Nice, France; Dublin, Republic of Ireland and Kyiv, Ukraine, among others. Cities including Sarajevo, Bosnia Herzegovina; Chiang Mai, Thailand and Canberra, Australia, are just some of the destinations that will soon join the airline’s extensive global network, providing even more leisure and business travel options for passengers. This entry was posted in Airlines, Flights, Sports, Transportation, Travel, Travel Management, Travel Marketing, Travel Services and tagged His Excellency Mr. Akbar Al Baker, MCKAYSON New Zealand Women's Open, New Zealand’s first-ever LPGA Tour event, Qatar Airways. Bookmark the permalink.